"This LED lamp boasts a simple, classic shape with wood and metallic accents to fit in with just about any decorating style." "This floor lamp has a soft, black finish and a light-diffusing plastic shade and includes a built-in, warm-light LED light bulb." "The classic shape and brassy finish work well in a variety of interiors." "This lamp has a popular tripod-inspired base, making it both a stylish conversation piece and helpful for illumination." 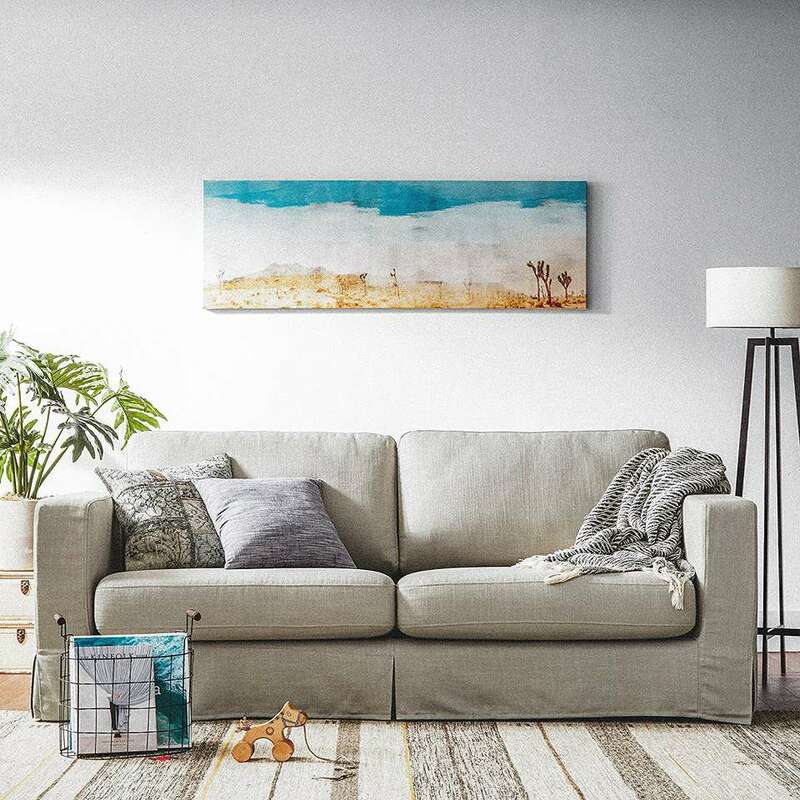 "This stunning floor lamp has one long arm that can sweep over the back or side of the couch to wherever you’d like to send the light." "It’s shorter than many other floor lamps, so it's best for ambient light rather than reading light." "Three shelves give you plenty of space for a stack of books or a cup of coffee, and the lamp's base is only about 10 inches square." While different shade shapes come in an out of fashion, these days a cylindrical drum shade is au courant. The nice thing about the shade is that it sends bright light straight up and down while emitting a soft glow through the shade. This LED lamp boasts a simple, classic shape with wood and metallic accents to fit in with just about any decorating style. The torchiere shape means that the light is projected straight up, and the lamps can come with either metal shades (which tend to be opaque, so all of the light goes up) or glass or plastic versions, which send some light outward as well up. In a space like a dorm room or a guest room or living room of your first home, an inexpensive torchiere lamp is just the ticket to add a comfortable layer of light. This floor lamp has a soft, black finish and a light-diffusing plastic shade and includes a built-in, warm-light LED light bulb that will last for decades. A floor lamp that hits about shoulder- or head-level when you’re sitting in your favorite chair will project light directly onto your book without lighting up the surrounding area. This lamp can be adjusted by more than a foot in height to get it to just the right spot. The classic shape and brassy finish work well in a variety of interiors, whether you’re using it in your book-lined library or a more casual space. The other role floor lamps play in the living room is a decorative one, and a lamp with an interesting shade can help frame a couch or liven up a dull corner of the living room. A shaded lamp will diffuse the light at eye level while projecting light upward and downward as well. This lamp has a popular tripod-inspired base, making it both a stylish conversation piece and helpful for illumination. This stunning floor lamp has one long arm that can sweep over the back or side of the couch to wherever you’d like to send the light. The linen shade diffuses the light at eye level, while sending it in all directions for soft, ambient lighting. Tower lamps look good next to sofas or in the corner of a room, and they come in a variety of styles, from highly decorative to simple and modern. This lamp has a casual rice-paper shade on a soft-black base, making it a subtle addition to any room. It’s shorter than many other floor lamps, so it's best for ambient light rather than reading light. This clever lamp does just that, integrating an elegant rectangular lamp with a narrow shelving unit. Three shelves give you plenty of space for a stack of books or a cup of coffee, and the lamp's base is only about 10 inches square. The lamp comes with the LED bulb and is available in four finishes.